This document was produced by the CSS Working Group as a Candidate Recommendation. This document is intended to become a W3C Recommendation. This document will remain a Candidate Recommendation at least until 9 August 2017 in order to ensure the opportunity for wide review. Continuing the prior example, the author also wants the game to adapt to different devices. 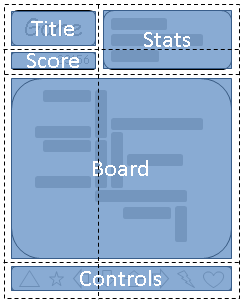 Also, the game should optimize the placement of the components when viewed either in portrait or landscape orientation (Figures 4 and 5). By combining grid layout with media queries, the author is able to use the same semantic markup, but rearrange the layout of elements independent of their source order, to achieve the desired layout in both orientations. The following declares a grid with as many rows of at least 5em as will fit in the height of the grid container (100vh). 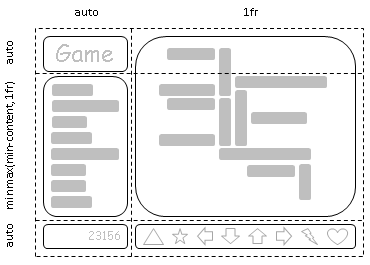 The grid has no explicit columns; instead columns are added as content is added, the resulting column widths are equalized (1fr) Since content overflowing to the right won’t print, an alternate layout for printing adds rows instead. A grid area is the logical space used to lay out one or more grid items. A grid area consists of one or more adjecent grid cells. It is bound by four grid lines, one on each side of the grid area, and participates in the sizing of the grid tracks it intersects. A grid area can be named explicitly using the grid-template-areas property of the grid container, or referenced implicitly by its bounding grid lines. A grid item is assigned to a grid area using the grid-placement properties. the column-* properties in the Multi-column Layout module [CSS3COL] have no effect on a grid container. As a block-level box in a block formatting context, it is sized like a block box that establishes a formatting context, with an auto inline size calculated as for in-flow block boxes. The max-content size of a grid container is the sum of the grid container’s track sizes (including gutters) in the appropriate axis, when the grid is sized under a max-content constraint. The min-content size of a grid container is the sum of the grid container’s track sizes (including gutters) in the appropriate axis, when the grid is sized under a min-content constraint. Loosely speaking, the grid items of a grid container are boxes representing its in-flow contents: each in-flow child of a grid container becomes a grid item. Each contiguous run of text that is directly contained inside a grid container is wrapped in an anonymous grid item. However, an anonymous grid item that contains only white space is not rendered, as if it were display: none. Note: The auto value of min-width and min-height affects track sizing in the relevant axis similar to how it affects the main size of a flex item. See §6.6 Implied Minimum Size of Grid Items. Grid items can overlap when they are positioned into intersecting grid areas, or even when positioned in non-intersecting areas because of negative margins or positioning. The painting order of grid items is exactly the same as inline blocks [CSS21], except that order-modified document order is used in place of raw document order, and z-index values other than auto create a stacking context even if position is static. Thus the z-index property can easily be used to control the z-axis order of grid items. However, if the grid item spans only grid tracks that have a fixed max track sizing function, its specified size and content size in that dimension (and the input to the transferred size in the other dimension) are further clamped to less than or equal to the stretch fit the grid area’s size (so as to prevent the automatic minimum size from forcing overflow of its fixed-size grid area). 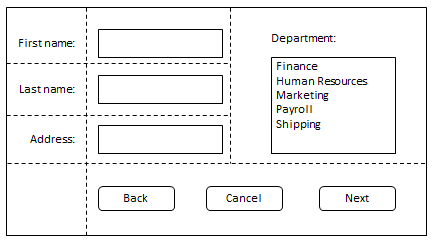 The three properties grid-template-rows, grid-template-columns, and grid-template-areas together define the explicit grid of a grid container. The grid property is a shorthand that can be used to set all three at the same time. 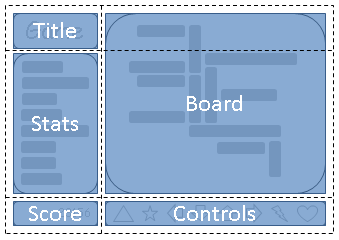 The final grid may end up larger due to grid items placed outside the explicit grid; in this case implicit tracks will be created, these implicit tracks will be sized by the grid-auto-rows and grid-auto-columns properties. <percentage> values are relative to the inline size of the grid container in column grid tracks, and the block size of the grid container in row grid tracks. If the size of the grid container depends on the size of its tracks, then the <percentage> must be treated as auto. The UA may adjust the intrinsic size contributions of the track to the size of the grid container and increase the final size of the track by the minimum amount that would result in honoring the percentage. 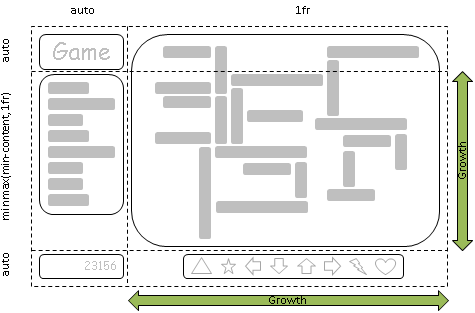 Note: The size of the grid is not purely the sum of the track sizes, as grid-row-gap, grid-column-gap and justify-content, align-content can add additional space between tracks. When auto-fill is given as the repetition number, if the grid container has a definite size or max size in the relevant axis, then the number of repetitions is the largest possible positive integer that does not cause the grid to overflow its grid container (treating each track as its max track sizing function if that is definite or as its minimum track sizing function otherwise, and taking grid-gap into account); if any number of repetitions would overflow, then 1 repetition. Otherwise, if the grid container has a definite min size in the relevant axis, the number of repetitions is the smallest possible positive integer that fulfills that minimum requirement. Otherwise, the specified track list repeats only once. A flexible length or <flex> is a dimension with the fr unit, which represents a fraction of the free space in the grid container. The distribution of free space occurs after all non-flexible track sizing functions have reached their maximum. The total size of such rows or columns is subtracted from the available space, yielding the free space, which is then divided among the flex-sized rows and columns in proportion to their flex factor. 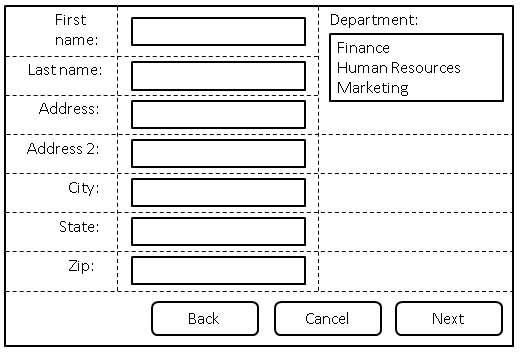 Each column or row’s share of the free space can be computed as the column or row’s <flex> * <free space> / <sum of all flex factors>. Note: If the sum of the flex factors is less than 1, they’ll take up only a corresponding fraction of the free space, rather than expanding to fill the entire thing. This is similar to how Flexbox [CSS-FLEXBOX-1] acts when the sum of the flex values is less than 1. If multiple track sizes are given, the pattern is repeated as necessary to find the size of the implicit tracks. 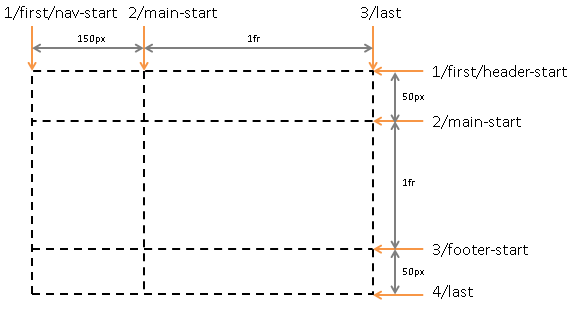 The first implicit grid track before the explicit grid receives the first specified size, and so on forwards; and the last implicit grid track before the explicit grid receives the last specified size, and so on backwards. Note: Note that you can only specify the explicit or the implicit grid properties in a single grid declaration. The sub-properties you don’t specify are set to their initial value, as normal for shorthands. Also, the gutter properties are reset by this shorthand, even though they can’t be set by it. Every grid item has a grid area, a rectangular set of grid cells that the grid item occupies. 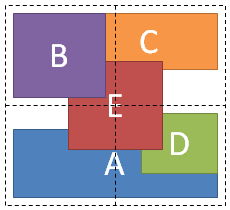 This grid area defines the containing block for the grid item within which the self-alignment properties (justify-self and align-self) determine their actual position. The cells that a grid item occupies also influence the sizing of the grid’s rows and columns, defined in §11 Grid Sizing. The grid item’s location in the grid. A grid position can be either definite (explicitly specified) or automatic (determined by auto-placement). How many grid tracks the grid item occupies. A grid item’s grid span is always definite, defaulting to 1 if it can’t be otherwise determined. These properties specify the gutters between grid rows and grid columns, respectively. The effect is as though the affected grid lines acquired width: the grid track between two grid lines is the space between the gutters that represent them. For the purpose of track sizing, each gutter is treated as an extra, empty track of the specified size. Negative values are invalid. This property is a shorthand that sets grid-row-gap and grid-column-gap in one declaration. If <‘grid-column-gap’> is omitted, it’s set to the same value as <‘grid-row-gap’>. Note: The grid-gap property is only one component of the visible “gutter” or “alley” created between grid areas. Margins, padding, or the use of distributed alignment may increase the visible separation between grid items beyond what is specified in grid-gap. Note that alignment (unlike grid-gap spacing) happens after the grid tracks are sized, so if the track sizes are determined by the contents of the spanned item, it will gain excess space in the alignment stage to accommodate the alignment spacing. 'grid-modified document order (grid order) is the order in which grid items are encountered when traversing the grid’s grid cells. If two items are encountered at the same time, they are taken in order-modified document order. 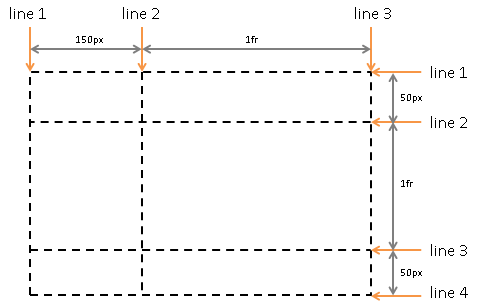 See CSS Writing Modes 3 §4.1 Introduction to Baselines and CSS Box Alignment 3 §8 Baseline Alignment Details for more information on baselines. Finally, the grid container is sized using the resulting size of the grid as its content size, and the tracks are aligned within the grid container according to the align-content and justify-content properties. Note: This can introduce extra space within or between tracks. When introducing space within tracks, only tracks with an auto max track sizing function accept space. Once the size of each grid area is thus established, the grid items are laid out into their respective containing blocks. Note: There is no single way to satisfy these constraints when items span across multiple tracks. This algorithm embodies a number of heuristics which have been seen to deliver good results on real-world use-cases, such as the "game" examples earlier in this specification. This algorithm may be updated in the future to take into account more advanced heuristics as they are identified. Note: For items with a specified minimum size of auto (the initial value), this is usually equivalent to a min-content minimum—but can differ in some cases, see §6.6 Implied Minimum Size of Grid Items. For intrinsic minimums: First increase the base size of tracks with an intrinsic min track sizing function by distributing extra space as needed to accommodate the contributions dictated by these items’ min-size contributions. Distribute space to base sizes up to growth limits: Distribute the space equally to the planned increase of each spanned track with an affected size, freezing tracks as their planned size reaches their growth limits (and continuing to grow the unfrozen tracks as needed). If the free space is positive, distribute it equally to all tracks, freezing tracks as they reach their growth limits (and continuing to grow the unfrozen tracks as needed). Miscellaneous trivial fixes: broken references, typos, etc. A Disposition of Comments is available. There remains an open issue on percentages inside shrink-wrapped grid containers at the time of publication.